2014 - 2015 Chapter Points Winner! This rate is for current ATD Greater Cleveland members and includes all member types. Please note: If you do not register prior to the program, walk-ins will be charged the non-member rate, regardless of member status, and attendance can not be guaranteed. To participate in chapter reciprocity, current members of any ATD Chapter in Ohio should use this option. A registration code is required; please contact the ATD Greater Cleveland chapter office for code information. For attendees who are not current members of the guests, non-members, national ATD members, and any members who are paying at the door. A Walk Through The Competency Model - Some Tools You Can Use! 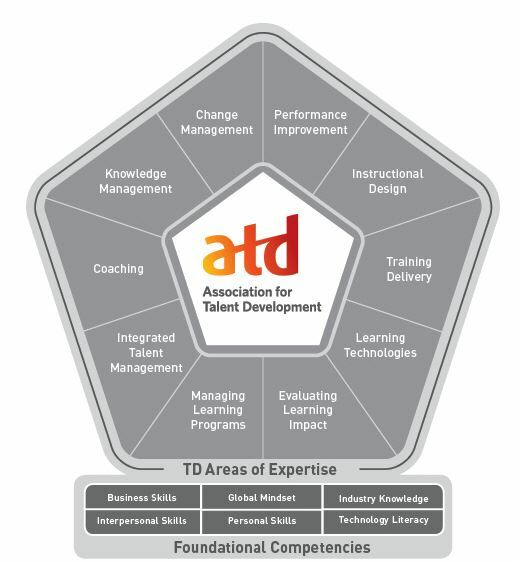 Have you ever wondered what is involved with all of the various items in the ATD Competency Model? Are you familiar with the items available to you in YOUR Area of Expertise (AOE)? What about the tools that are available to you? Do you know what they are? Would you like to explore the other competency areas? If so, this session is for YOU!!! The Greater Cleveland Chapter is going to explore and dig into the various Areas of Expertise (AOE). We will look at the various items for each area. We will also review some of the tools that are available to members to assist them in their various roles and with the competency areas. This session is planned to be a truly interactive one and we will start out with some Ice Breaker and Networking activities. Come and join us to learn more about the various items that make up the competency model. LeAnn Snyder is currently a Solution Architect with TMW Systems, Inc. She has been training for the past 24 years with TMW and has a BS in Education from Bowling Green State University. While at TMW, LeAnn has done classroom facilitation, instructional design and has done both internal and external training. Who should attend? Trainers, coaches, designers, developers, and anyone interested in brainstorming with your peers and learning some new ideas to start off the year. Parking/Directions: Click here for directions to the Hyatt Place Independence. Free parking is available. Please contact programs@atdgreatercleveland.org with event/registration questions. *Registration is required; space is limited and walk-ins will be charged $35, regardless of membership status. Please see the Event Registration Details page for more information about ATD Greater Cleveland's registration & cancelation policy. We apologize that ATD Greater Cleveland is unable to accommodate special dietary requests.